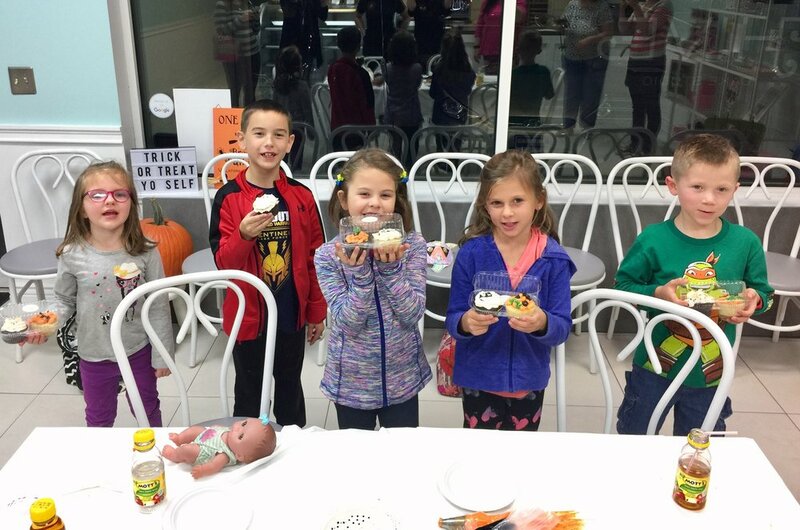 Kids and parents alike had a spooktacular time at The Hive's Halloween Cupcake Decorating Party! 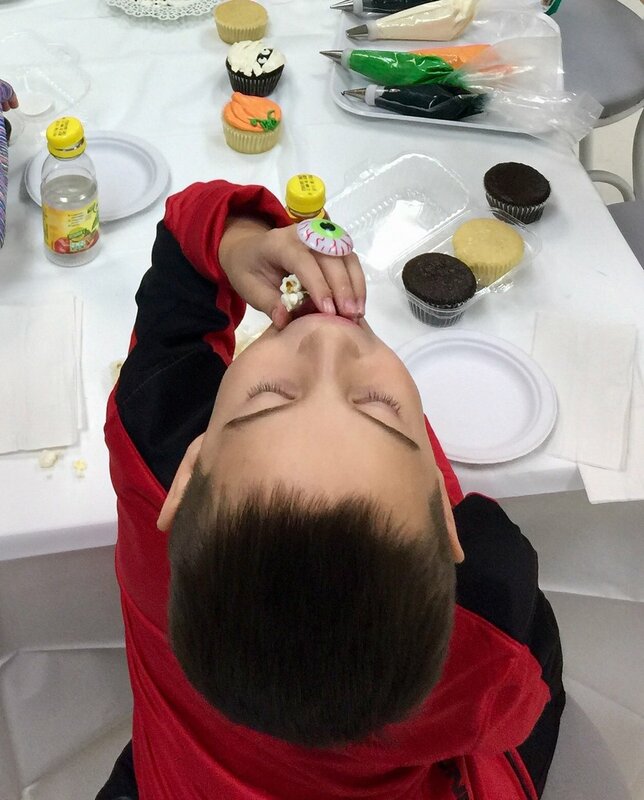 We listened to Halloween jams, munched on popcorn, colored, played games, and of course - decorated cupcakes! Kids arrived to The Hive Cake Studio on October 18th around 6:30pm. 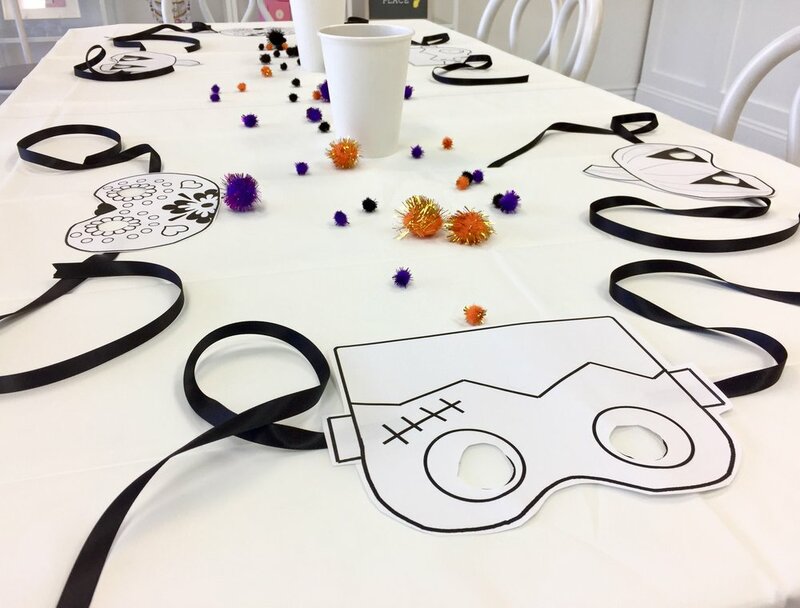 Halloween-themed masks and crayons decorated the table for kids to design as we waited for everyone to arrive. After the last masks were finished, we gave the kids the choice of which game they wanted to play first: Turn the owner of The Hive, Melissa, into a mummy (that was an overwhelming "FIRST! 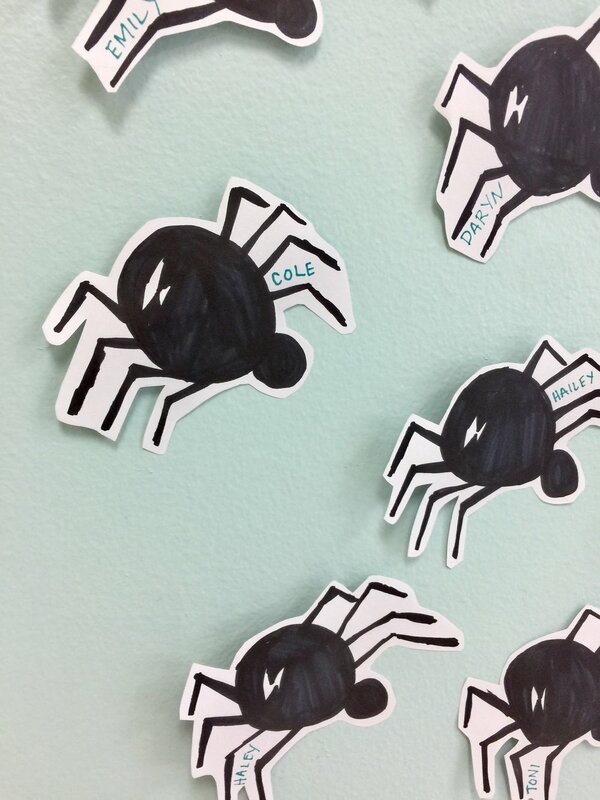 "), or play "Pin the Spider on the Web." 6 kids vs. 1 owner worked out well, as the kids laughed while turning her into a certified mummy. After we cleaned up that toilet paper (and moved the web down several feet...), kids took turns being blind-folded and spinning each other around before trying to get their spider closest to the center of the web....we're not sure how opaque our blind fold was, as a few kids got suspiciously close to the exact center! Finally, what we were all here for - cupcake decorating! Each child received 1 vanilla cupcake and 1 chocolate. Melissa first demonstrated on her vanilla cupcake, how to use the piping bags to create a Jack O' Lantern cupcake. After seeing their talent, we were excited to move onto the mummy cupcake. Melissa demonstrated how to stick on the mummy's eyes and pipe white lines. After everyone finished designing their Halloween cupcakes, we packed them up "to-go" for the kids to go show off to family, but not before grabbing a "Broomstick" goodie bag! It was a super fun night and are glad to have had such talented little bakers join us for the class! Missed out on this one? Stay tuned, as we'll be posting information on upcoming Holiday classes soon!